THE MUSIC, THE MAKEUP, THE MADNESS, AND MORE. . . . In December of 1972, a pair of musicians placed an advertisement in the Village Voice: “GUITARIST WANTED WITH FLASH AND ABILITY.” Ace Frehley figured he had both, so he answered the ad. The rest is rock ’n’ roll history. He was just a boy from the Bronx with stars in his eyes. But when he picked up his guitar and painted stars on his face, Ace Frehley transformed into “The Spaceman”—and helped turn KISS into one of the top-selling bands in the world. Now, for the first time, the beloved rock icon reveals his side of the story with no-holds-barred honesty . . . and no regrets. For KISS fans, Ace offers a rare behind-the-makeup look at the band’s legendary origins, including the lightning-bolt logo he designed and the outfits his mother sewed. He talks about the unspoken division within the band—he and Peter Criss versus Paul Stanley and Gene Simmons—because the other two didn’t “party every day.” Ace also reveals the inside story behind his turbulent breakup with KISS, their triumphant reunion a decade later, and his smash solo career. Along the way, he shares wild stories about dancing at Studio 54 with “The Bionic Woman,” working as a roadie for Jimi Hendrix, and bar-flying all night with John Belushi. In the end, he comes to terms with his highly publicized descent into alcohol, drugs, and self-destruction—ultimately managing to conquer his demons and come out on top. This is Ace Frehley. No makeup. No apologies. No regrets. 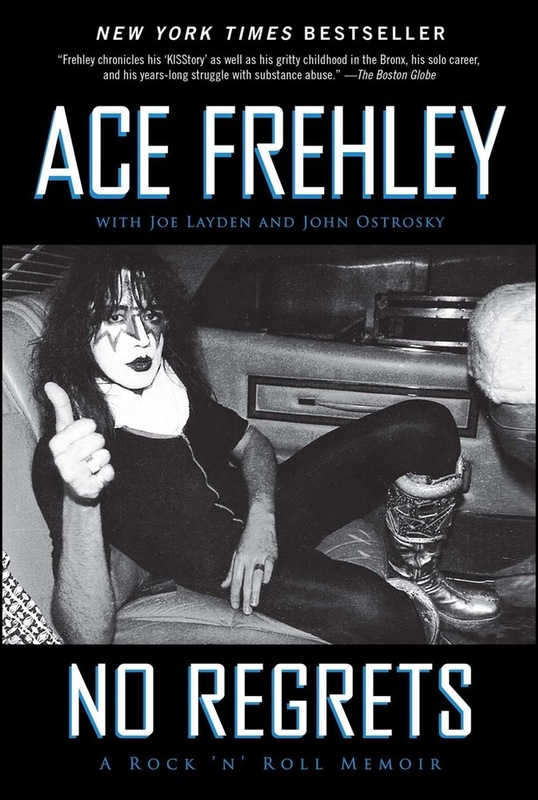 Acquista No Regrets in Epub: dopo aver letto l’ebook No Regrets di Ace Frehley, Joe Layden, John Ostrosky ti invitiamo a lasciarci una Recensione qui sotto: sarà utile agli utenti che non abbiano ancora letto questo libro e che vogliano avere delle opinioni altrui. L’opinione su di un libro è molto soggettiva e per questo leggere eventuali recensioni negative non ci dovrà frenare dall’acquisto, anzi dovrà spingerci ad acquistare il libro in fretta per poter dire la nostra ed eventualmente smentire quanto commentato da altri, contribuendo ad arricchire più possibile i commenti e dare sempre più spunti di confronto al pubblico online.